"WRC is now listed on @bitexcomtr . Great news for Turkey! 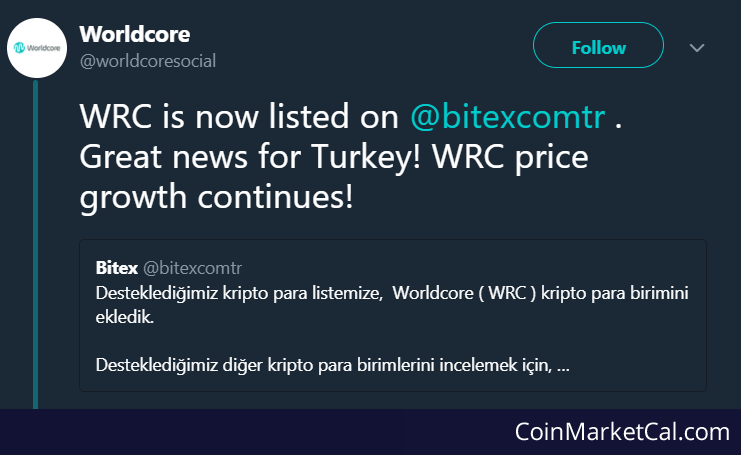 WRC price growth continues!"